Retired Rabbit Sanctuary’s mission is to provide emergency & rehabilitative services for abandoned, abused & endangered rabbits & raise public awareness. OUR GOAL is to reach out to children, youth & adults through interactive & educational activities that will, not only, educate them on the care, handling & appreciation of rabbits (& other animals & pets) but to empower them to participate & advocate with us in changing the current practices that harm & endanger rabbits (& other animals & pets). 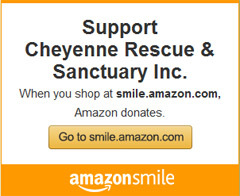 Founded in 1998, The Retired Rabbit Sanctuary is Division of, Cheyenne Rescue & Sanctuary Inc., a 501c3 Non-Profit educational & charitable organization. We associate with other animal education and support groups, such as the American Humane Society, Bexar County Humane Society, The Animal Defense League and Houston Animal Cops, All Sanctuary work is volunteer based. Funds are provided by individual donations or out of pocket. We have no governmental support. 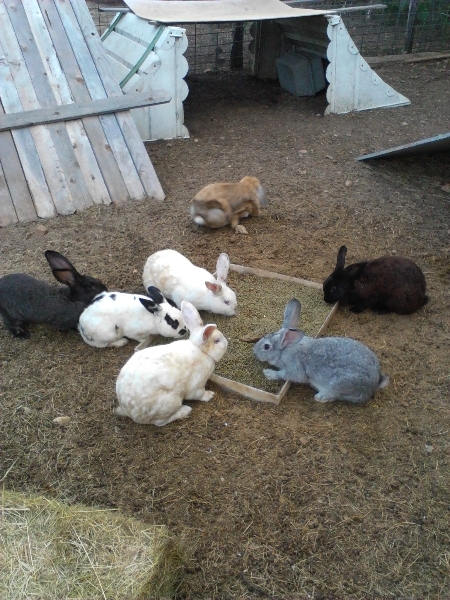 The Retired Rabbit Sanctuary has cared for up to 175+ rabbits at a time. The Retired Rabbit Sanctuary rescues injured, abandoned rabbits, accepts surrendered rabbits from the general public, from shelters and from other rescue organizations in San Antonio, Bexar County, throughout South and Central Texas and even as far away as California. 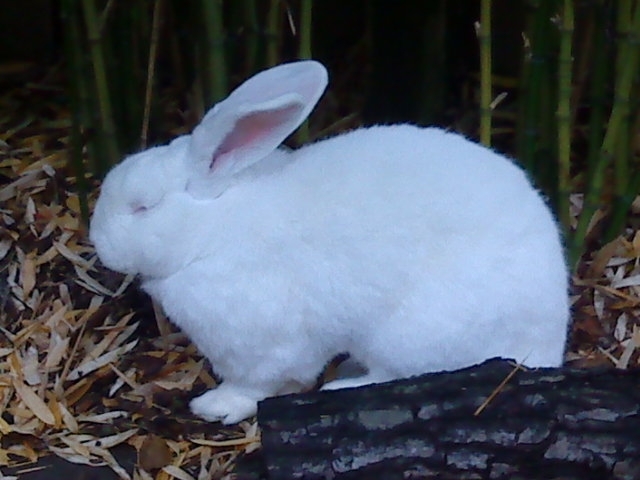 The Retired Rabbit Sanctuary works in the community, schools, with our local SPCA, local shelters and other education groups to provide public education on rabbit care, feeding, grooming, medical needs, social requirements and behavioral information. The Retired Rabbit Sanctuary is located in East Bexar County Texas and utilizes near 15 acres to aide, care for and assist rescued Rabbits. The front 3 acres are our primary care facility, where the rabbit habitats are located. 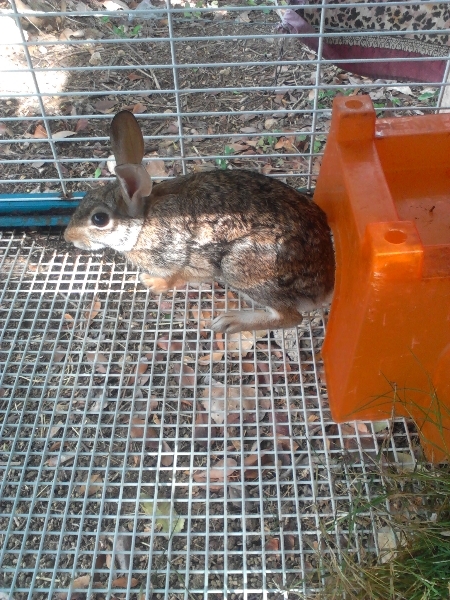 The rabbit habitats are secured, reinforced chain link pens. They are covered with steel cattle panels on the top, and covered with garden netting and tarps for shade. Some of the rabbits are housed in our home, as they need special care. ‘Bunny Clinic’ is done in our home also, because as of this time, we have not had the means to build the planned out-building that will be known as the Bunny Barn. With the need growing daily, we are in the planning stages for a much needed expansion. We pray that GOD’s blessings upon you and pray that HE returns your generosity ten fold. Also we pray that HE blesses you for your support of our ministry. Amen. The bunnies and other animals will benefit from your kindness.